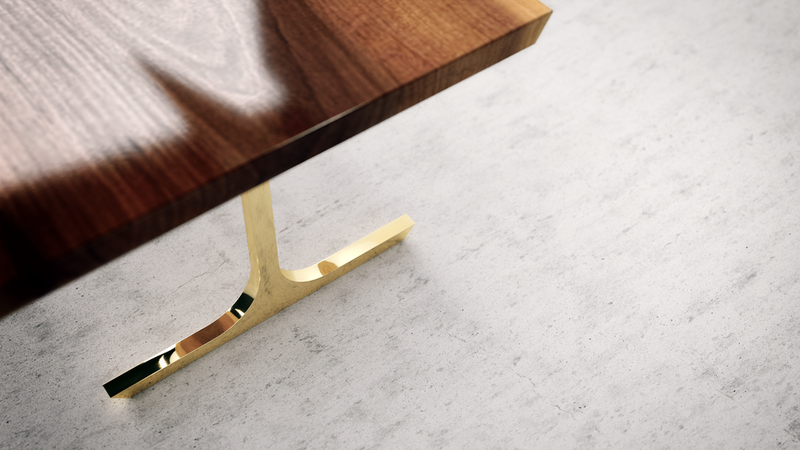 North American Black Walnut slab featuring rich grain, "live" edge and naturally occurring knots celebrate the organic quality of the wood table top, held up by contemporary brass legs. A remarkable statement in any room. Ships in 12 weeks and delivery depends on your location. We will notify you once your table is on its way.